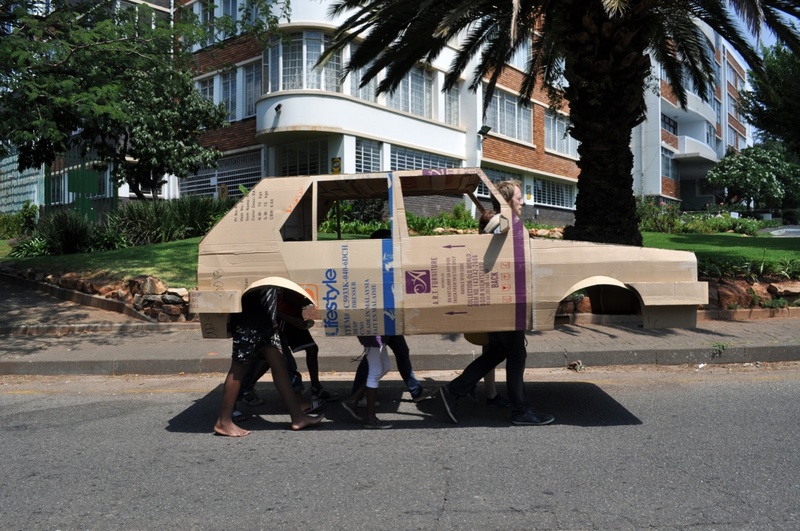 It takes a foreign sensibility to see Joburg’s suburban streets with new eyes. And I highly recommend it. On Friday morning we joined artists Susanne Kudielka and Kaspar Wimberley for a walk through Parkwood. 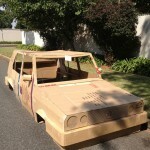 Not your average walk, as we were encased in a cardboard Volkswagen Citi Golf. The two Stuttgart-based artists have been working as “artists-in-residence” at the Goethe-Institut for the past six weeks. 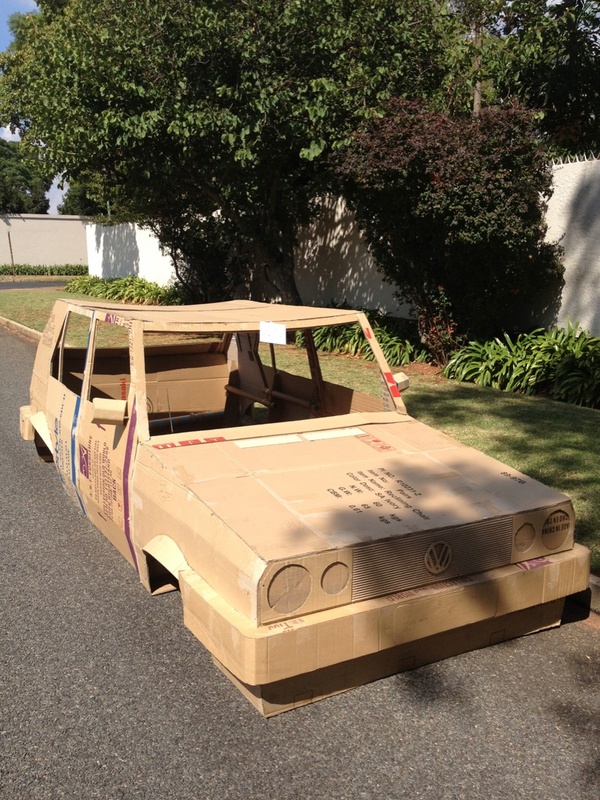 They arrived in Joburg intending to look at the theme of security. 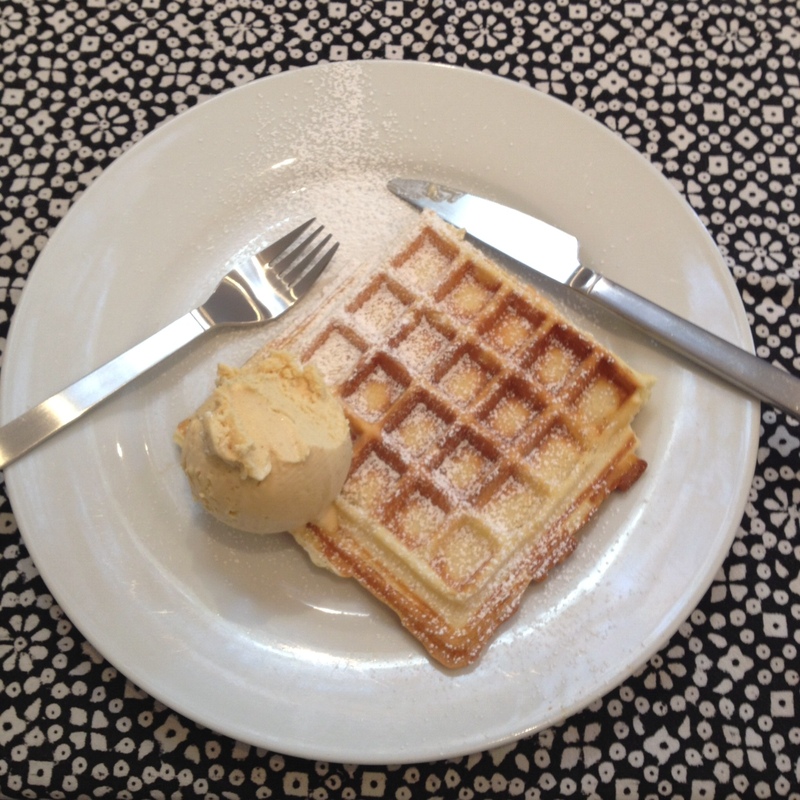 Sunday morning and a long overdue celebration of Paul Ballen’s Homemade Ice Cream and Waffle Day. So good it deserves its own Day. @paul_ballen is one of those Joburg individuals I thank twitter for. I have even ordered his homemade ice-cream over that channel. It was months ago and I got a home delivery of 1 litre of Vietnamese coffee and another of Maple Syrup and Caramelized Pecan. Truly delicious. This morning we headed for Saxonwold and a Breakfast of Champions – a homemade waffle with a dollop of creamy and smooth peanut butter ice cream. 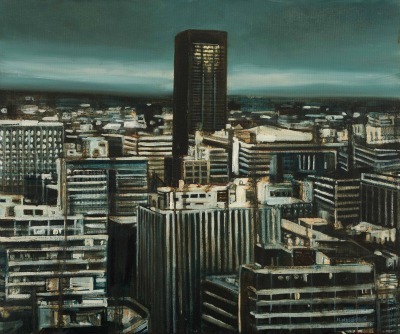 Artist Hermann Niebuhr’s Johannesburg is many cities. All of them familiar, but each distinctive in its difference. At his Fordsburg studio, the more than 30 versions hang in one room, a dizzying display of colour and light. There are cityscapes, and the traces of cityscapes, geometric lines that compose Johannesburg’s most famous landmarks and that, on closer inspection, fracture and break apart. In each the sky and city are entangled, the light washing over the buildings warming the city or darkening it, making it appear in turns welcoming, and then coldly foreboding, making it appear real. 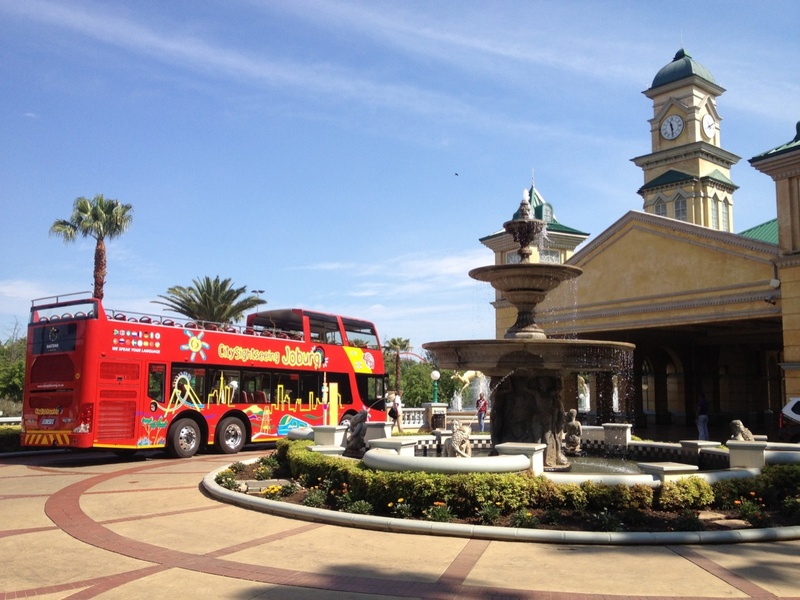 For Johannesburg is in some ways an unknowable city, a city of concealment, and of surprises, where hipsters rub shoulders with church prophets and you can find a sheep’s head as easily as you can a pair of Italian brogues. Surfaces are only to be taken for the whole at your own peril. Like all true love stories this one has moments of exhilaration, and of defeat. In pursuit of a romantic ideal one must be prepared as much for pure joy as for its opposite. 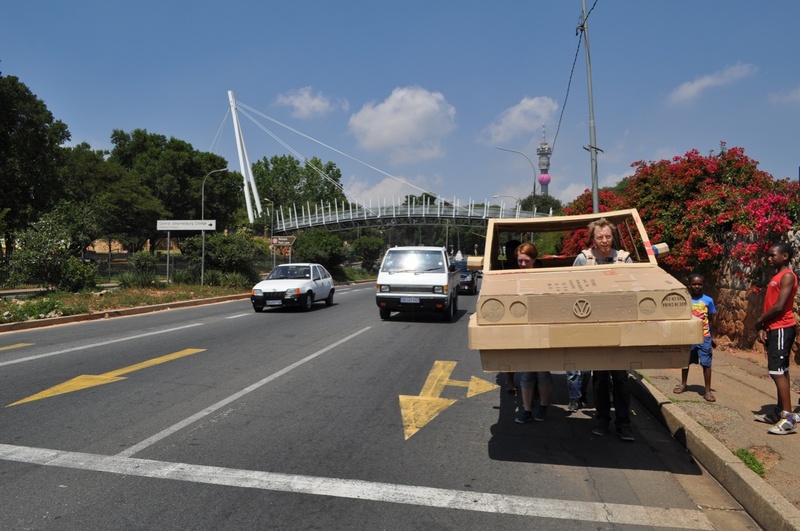 Along Bezuidenhout street, where it meets Viljoen in the park below Troyeville ridge is a bed. 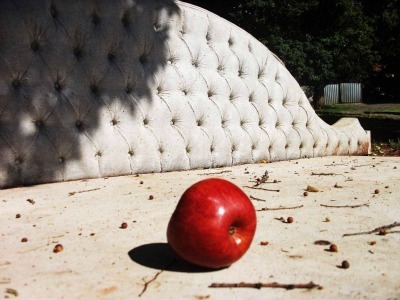 Its plush studded headboard is the stuff that Joburg migrant dreams are made of, Beares catalogues and lay-byes. Its pillows have the texture of velvet and on it lays a duvet, creased as if the bed’s occupants had just arisen from their slumber. On the morning I visit two birds are using the folds of the duvet as a birdbath. The park is green, the bed resting in peaceful shade.